« Scotch, Sailor Jerry & Great Wine! As we approach the end of this year, after all Tuesday does mark December 1st. I love this time of year for many reasons, I love Christmas, I love the lights and pretty decorations, and I love the sense of renewal I get with a brand new year on the horizon. At the beginning of 2015, I vowed that I was not going to get into a ‘wine rut’ by drinking the same favorites all the time, and I made a pledge to my readers that I would try at least one new wine every week. And I am happy that I have kept that promise. With that in mind, all the wines in my blog this week, are new to me wines. The logo on the bottle looks familiar because of the Gerard Betrand Corbieres I wrote about several times last year. 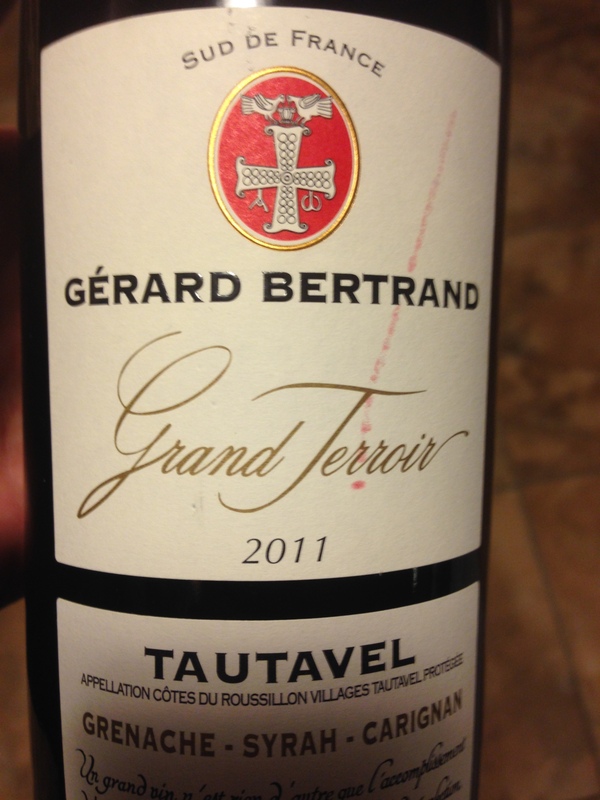 I thought it was one of the great finds from the 2014 Port of Wines show, so I was very excited to try this Tautavel. A blend of Grenache, Syrah and Carignan, the grapes are planted in the south of France near the village of Tautaval, and produces a perfectly balanced red wine. Grenache leads the blend and so it has that good structure and rich plum flavors, I also noticed notes of mocha, black olive and pepper. Fantastic wine at a fantastic price. Here’s another super interesting find. Carignan is normally used in blends, as in the first wine I talked about. 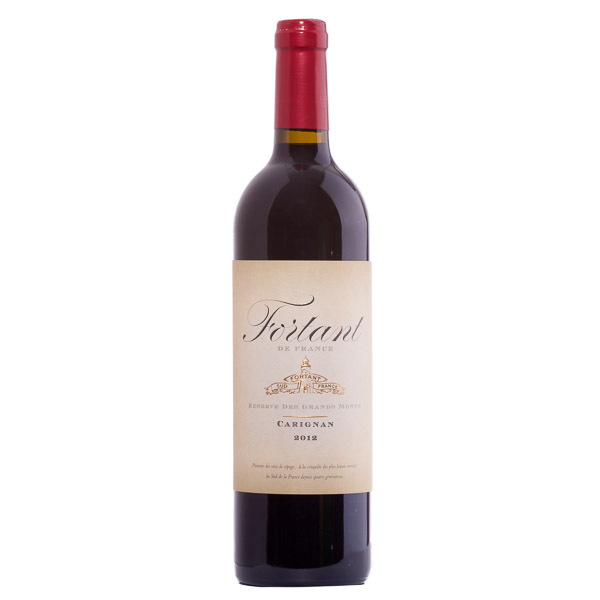 Usually blended with Grenache and Syrah, with the Fortant Carignan Grand Reserve, it stands on its own, and does so brilliantly. My friend Anthony told me about it, liked it so much he has had it twice this week, and I had to try my first stand alone Grenache. As I was learning about this wine, I discovered that the grapes are grown in the foothills and sometimes grapes have a hard time maturing, but when they do it’s magical. The wine tends to be complex and elegant, and that’s exactly what you’ll find with this wine. Lots of spicy notes on the palate with dried fruit, herb flavors, and rich blackberries. My apologies for the dark picture But what you’re looking at is the wine I had last night it is the Heracles Primitivo from the Tommassi family. What a fantastic deal, coming in under $20. 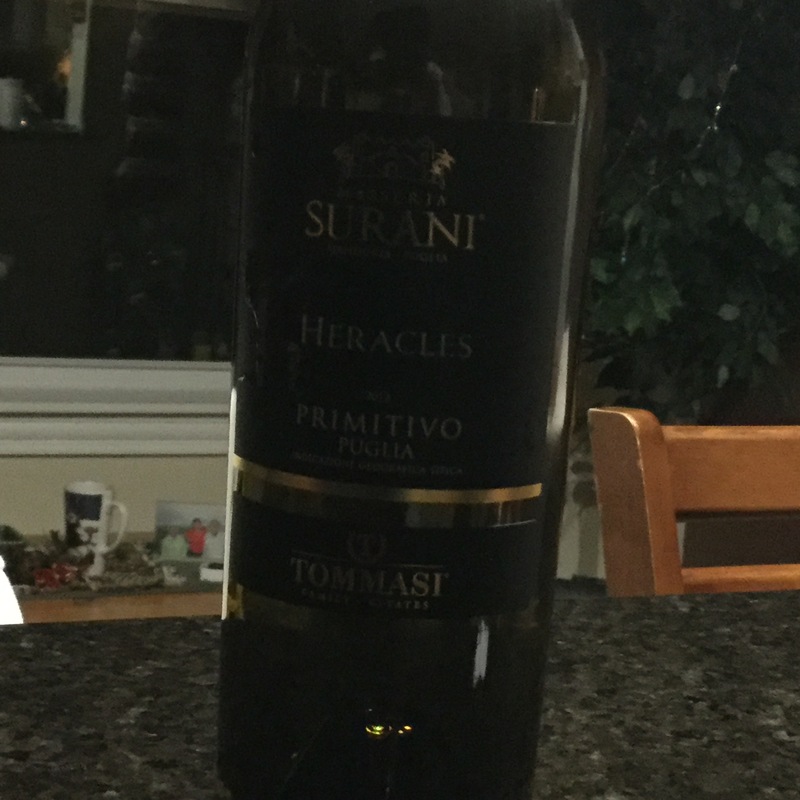 Named after the son of Zeus this wine is 100% Orimitivo grape from Italy. Almost identical to the Zinfandel grape, this one has all the yummy characteristics. Juicy, full-bodied with chocolate and smoky bacon flavours. It was 14°C here yesterday so this wine went fantastic with the barbecue I had. When it’s 14°C on November 27th, how can you not barbecue? Well that’s it for me this week! 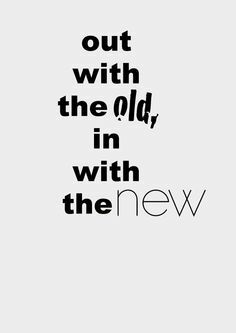 Have a great week as we head into the month of December. 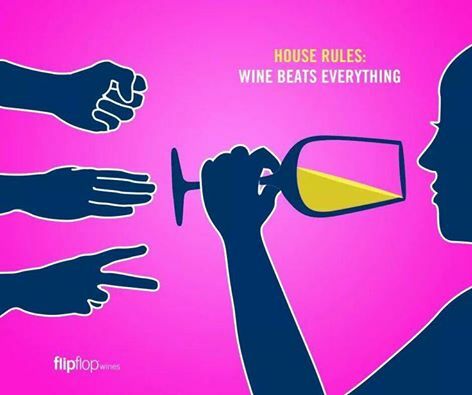 This entry was posted on November 28, 2015 at 3:35 pm and is filed under Wine & Food. You can follow any responses to this entry through the RSS 2.0 feed. You can leave a response, or trackback from your own site. enjoy your blog and tried many of your white wines…love oak flavour so id like to try a red that has oak…but have not found it yet.any suggestions??? ?